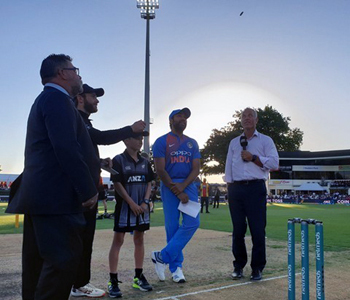 Hamilton, Feb 10: India won the toss and elected to bowl first in the final T20I of the three-match series against New Zealand at Seddon Park stadium here on Sunday. 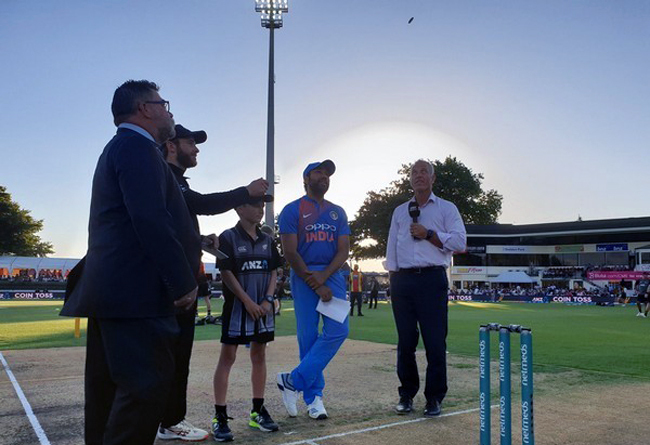 After the toss, India skipper Rohit Sharma said, "Good game in Auckland, want to repeat the performance. At the start, for a decider, you want to put runs, but the combinations we play with allow us to chase. That's something the team likes to do as well."